While it may not be in our “wheel” (or in this case, “wing”) house, at Market Connections, we like to acknowledge innovative new technology and design across multiple fields. Which is why the announcement from Boeing definitely made the list of top innovations to be noted in 2019. 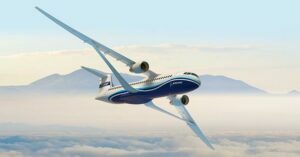 Earlier this month, Boeing unveiled their Transonic Truss-Based Wing (TTBW), an extremely thin, folding wing, with a wingspan of 170 feet, made possible by a truss that supports its weight. 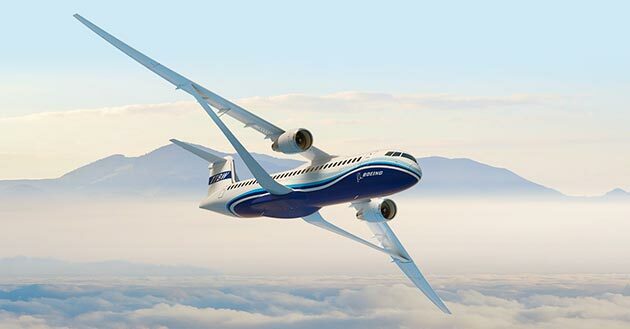 This innovative design allows aircraft to fly more efficiently at higher altitudes. Partnering with the National Aeronautics and Space Administration (NASA) for nearly 10 years, together they have been studying the concept as part of the Subsonic Ultra Green Aircraft Research (SUGAR) program, which focuses on innovative concepts that reduce noise and emissions while enhancing performance. While still in its conceptual phase, extensive wind tunnel testing was conducted at NASA Ames Research Center, where engineers have been able to obtain an increased top speed from a planned Mach 0.70-0.75 to Mach 0.80. We look forward to seeing how this concept may be integrated into commercial plane design moving forward to increase comfort, speed and efficiency for travel.